When Thunder entered the programmatic creative space, the majority of players were dynamic creative built on rich media platforms. Sizmek, Flashtalking, Celtra, Flite, Spongecell and many others are all flavors of the same templated DCO technology, weighed down by rich media’s fading legacy of intrusive ad formats with heavy file sizes. That’s why we pioneered the Creative Management Platform (CMP) which significantly diverges from the fully automated method of DCO. We’re building for a LEAN ads future where creative relevancy and experience—not interruption and intrusion—drives results. 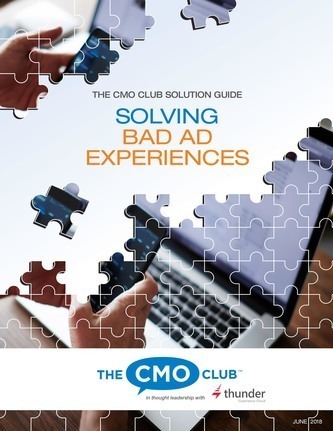 How to layer in creative with programmatic remains on people’s minds as a top challenge. This is something we help our customers with every day. 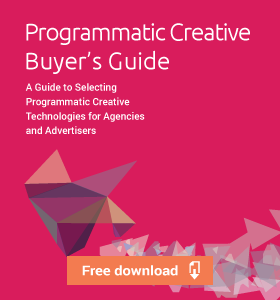 Apart from this blog, we wrote two free eBooks on programmatic creative: the Essential Guide and Buyer’s Guide. 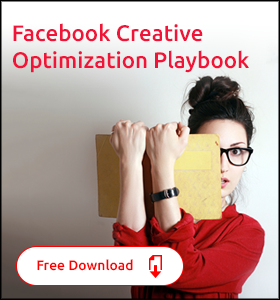 We started a project to put out playbooks to showcase programmatic creative tactics. 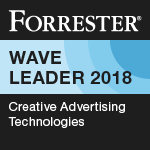 When figuring out how to reconcile creative and programmatic, many are coming to the conclusion that more targeted, relevant creative, is needed to help activate the programmatic data used in ad targeting. That’s where Thunder CMP comes in. Making easy, fast and intuitive software that advances your creative goals has always been a priority. But everyone in this space will say they’re trying to help save you time and increase performance. Instead of just claiming it, here’s some proof. See a case study on how Anheuser-Busch knocked out an ambitious campaign in record time and at a 46% cost savings versus their usual process. Reduction of data calls from 2 to 1. Most dynamic creatives require you to call for audience data twice. The first call is from the DSP/DMP when the impression loads. The second call is for the DCO ad unit itself, for the same information, so that it can build on the fly appropriately. Thunder’s pre-built ads use DSP/DMP decisioning and require no second data call. In this scenario, Thunder ads have half the data costs versus our competitors. Superior file load sizes by up to 60% versus other vendors. All components of Thunder ads are programmatically optimized for lighter sizes. This includes image, font, code and animation optimizations. Our ads don’t require the heavy layout/rendering code of ads that are built on the fly. Light load sizes help you avoid excess data charges on ad servers like DCM. Lighter load size has been shown to correlate with better viewability as well. The bottom 20% of programmatic challenges aren’t on the creative side, so sadly we’re not in a position to address them. But as you can see, your creative priorities are our priorities. We keep a very close eye on these kinds of discussions. 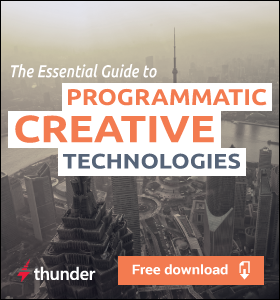 If you have been suffering from the above, now is a good time to schedule a free Thunder CMP consultation to see if we are the right programmatic creative solution for your organization.